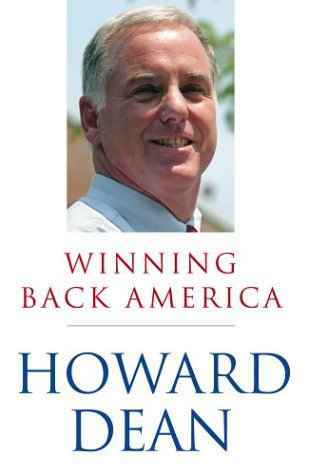 Click here for 12 full quotes from Howard Dean in the book Winning Back America. Individual freedom should apply to abortion decision. Egalitarianism implies the legality of gay civil unions. Government of, by, and for the special interests. Bush has squandered foreign goodwill. America is about value of freedom not just military strength. Don�t divide immigrants-we all are. Attracts people who�ve felt excluded from the process. Bush�s tax cuts part of master strategy of govt starvation. The Internet will become a key player in political debate. Bush spends money on Iraq while US infrastructure crumbles. Infrastructure requires immediate attention--being ignored. Dean Corps replaces under-funded AmeriCorps.